In today’s ever changing and competitive business landscape, it is vital to be continuously updating your skills and knowledge to stand out from your peers. Nowadays you don’t have to sign up for an MBA or acquire a loan just to obtain a formal qualification. Fortunately there are many easy online resources that you can turn to for inspiration. 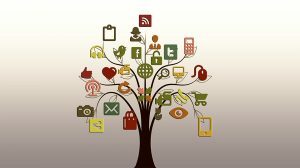 Below are some websites that will have you inspired to self-develop. The power of video is dominating learning platforms. 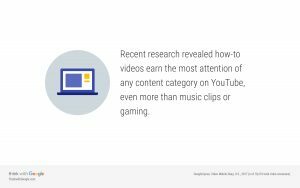 There is massive growth in people broadcasting information and instructional videos on YouTube and data shows that more “how-to” videos are being watched than ever before. In fact you can easily search for a video on a topic specific to a problem you are faced with right now and find a solution to it. YouTube will also recommend content to you similar to what you have watched before so the more videos you watch that will benefit you, the more you will find. LinkedIN is most renowned as a social media platform for job hunting, but there are often gems of advice shared by leaders in your industry. So if you are eager to share news and articles that will benefit your career with other like-minded professionals, but don’t want to be “hounded” by Recruiters, arrange your settings to let Recruiters know you are not looking, but still enjoy stimulating connections. Forbes promotes themselves as “the number 1 business news source in the world”. If you are not into investments or technology you might not immediately find what you are looking for, but there are a host of leadership and personal development articles for you to read and share. Most interestingly, you can find out from the famous Forbes Lists, who the richest, most influential people are, including the Top 30 under 30 year olds who you can read about, be inspired by and potentially learn from. Success.com showcases thought leadership and delivers the insights of success experts from a multitude of industries to provide you with information to succeed. You will find a lot more personal development articles on this website than industry specifics, however they are broad enough to fit into most working environments. You can browse categories of Sales, Marketing, Business, Personal Development, Failure, Motivation and more. Be warned if you’re a first time visitor though, it is easy to binge on information – so pace yourself. Darren Hardy was once publisher of “Success Magazine” and shares stories and lessons from many of the successful people he has interviewed and learnt from over the years. Darren Hardy’s website is less of a resource like the others listed, but is more of a subscription that sends a daily mentoring video to your inbox. He is a straight-talking, no-nonsense story teller and the consistency of his videos serves as a great daily motivator for any industry. There are many online interactive motivators like Darren online today; it is worth finding one that works for you and your industry. Focusing mainly on soft skills, Skillsyouneed.com has a clear and simple mission, “To help you lead a happier more fulfilling life and reach your potential.” They feature an A-Z of various categories such as Numeracy skills, Interpersonal Skills, Writing Skills, Presentation Skills and even Parenting Skills. Each lesson flows into what could be the next skill you need and the categories are laid out in such a way that you can jump from topic to topic quite easily. Entrepreneur mag is locally produced and focuses on business news with some South African content. You can find many articles on leadership and development as well as industry specific news. This is not just for entrepreneurs and business owners and is a great resource for an ambitious employee to see the big picture in an industry which is vital for career growth. The question was once asked of a man who worked the same job for 10 years and did nothing to improve himself, “Did he have 10 years’ experience or 1 year experience 10 times over?” The resources above can help you ensure that question is never asked of you. Enjoy the micro-learning, go forth and self-develop!